In this short speech, this master historian tracks his fascination with all things historical to his early days in Pittsburgh where he "learned to love history by way of books" in bookshops and at the local library. 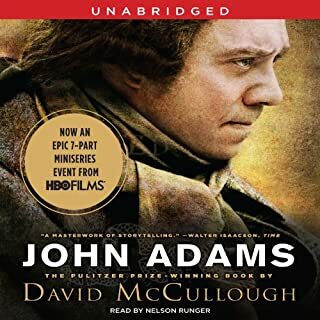 McCullough eloquently leads us through the founding fathers' attraction to history, letting us in on his composition of 1776 as well as the Pulitzer Prize-winning John Adams. His obvious affection for history is inspiring, because it encompasses the whole reach of the human drama. In McCullough's able hands, history truly "is a larger way of looking at life". 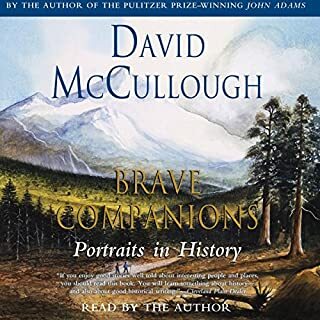 ©2005 David McCullough (P)2005 Simon & Schuster Inc. AUDIOWORKS is an imprint of Simon & Schuster Audio Division, Inc.
Everyone, school-age people in particular, should hear this short but superb talk by one of America's greatest historians. 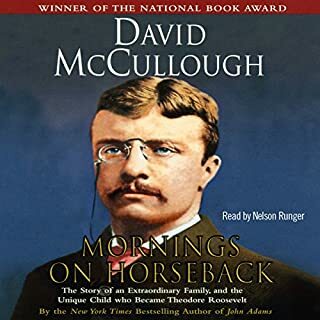 David McCullough, as anyone familiar with his work knows, creates what amount to wayback machines that plop us right into the events that made America. He portrays participants so vividly that they soon begin to seem like our old personal acquaintances. 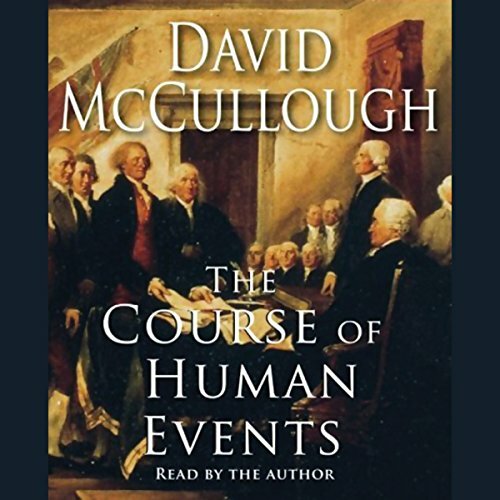 In this recording McCullough tells how he got hooked on history, why history is so important to an understanding of our world... and why it's so much fun. He points out here and in his book 1776 what isn't understood widely enough -- and this is why every American should hear this program -- that America's war for independence was an absurdly long shot, almost certain to fail. Yet thousands bet their lives and fortunes to go up against the world's only superpower -- and incredibly, after hardship and loss that is difficult for present-day Americans to imagine, they eventually won. I just wish I'd been exposed to history by someone as inspirational as McCullough when I was fourteen. David McCullough has three things going for him. 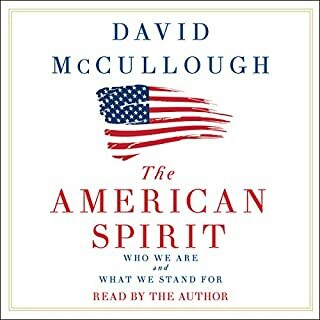 3) is that David McCullough knows what he is talking about. For a short read, you cannot go wrong with this book. 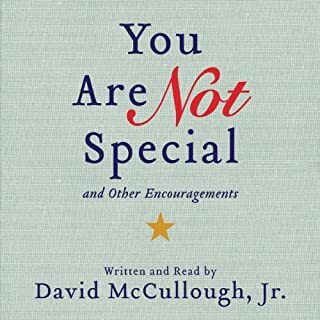 I love Mr. McCullough's work, and I enjoy listening to him speak. This was very enjoyable, something I will listen to time and time again. Would you listen to The Course of Human Events again? Why? I would listen again to this performance because it is inspiring, especially if you love American history or are a family historian. What other book might you compare The Course of Human Events to and why? 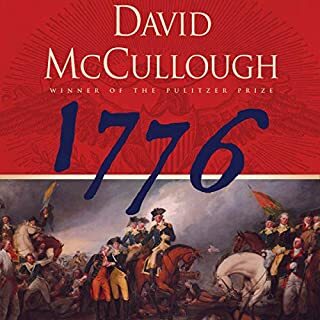 This book is comparable to another book by McCullough; 1776. There is only one scene. McCullough captures the historical essence of a famous painting which depicts the signing of the Declaration of Independence. I was left with deep feelings of patriotism and reverence for the individuals who made great personal sacrifices before, during and after the Revolution. Interesting and insightful speech by the great historian David McCullough. Well worth a read (listen) for those who read and enjoy American History. Great short speech. Love this writer! Thought provoking. Will listen again. Read his books. They are are very good. David McCullogh never disappoints me. I enjoy his clear prespective on life and history. I really enjoyed listening to this speech. Inspiring beyond description and causes anyone to launch into a lifetime of exploration at no matter what age! Well done!